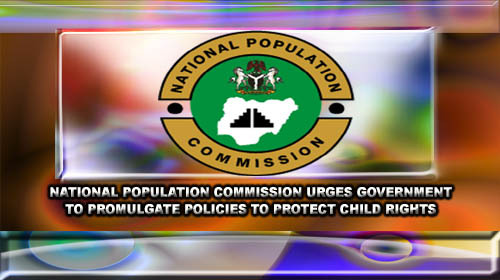 The National Population Commission ( NPC ) has selected 37 communities in Katsina State for the conduct of the 2018 Nigeria Demographic and Health Survey (NDHS) in the state. The NPC Federal Commissioner in charge of Katsina and Kaduna States, Alhaji Bala Almu Banye, disclosed this to newsmen in Katsina. Banye said that the exercise would be conducted between August and December, 2018, nationwide. According to him, the 37 communities are from 31 selected local government areas in the state. He said that the NPC field workers were expected to visit 30 households randomly in each community to solicit information about certain things. ‘’They will investigate on the factors that impact on maternal and neonatal morbidity and mortality; pregnancy care; female genital cutting and fistula. ‘’Blood sample will also be collected for malaria, anemia and genotype test,’’ he said. The federal commissioner, therefore, called on the public to cooperate with the field Workers and provide detailed information on the questions they would be asked for. He said that experts would also conduct tests on malaria, anemia and genotype tests on members of households they visited. He said that the exercise was aimed at collecting high-quality data for policy formulation, planning, monitoring and evaluation. Banye further says the 2018 NDHS is the sixth to be conducted in the country, and that the survey is supposed to be conducted after every five years. ‘’NDHS is conducted in 52 countries in the world; the last NDHS in Nigeria was conducted in 2013,’’ he said. The NPC Director in the state, Alhaji Lawal Ahmad, said that nine staff would conduct the exercise in the state. The director also urged the media to intensify efforts at sensitizing the public to the importance of the exercise.